Felix Sanchez wants midfield great Xavi to predict all of Qatar's results after the former Barcelona maestro successfully foretold their Asian Cup triumph. Sanchez's men consequently delivered on the forecast from his fellow Spaniard Xavi, who plays in the country for Al Sadd. "I'm going to call [Xavi] and tell him to predict all the next games just to make sure that we know what's going to happen in the future," former Barca youth coach Sanchez said. "With regards to Xavi, he is a great person and he is supporting us a lot. I'm very happy also for him." 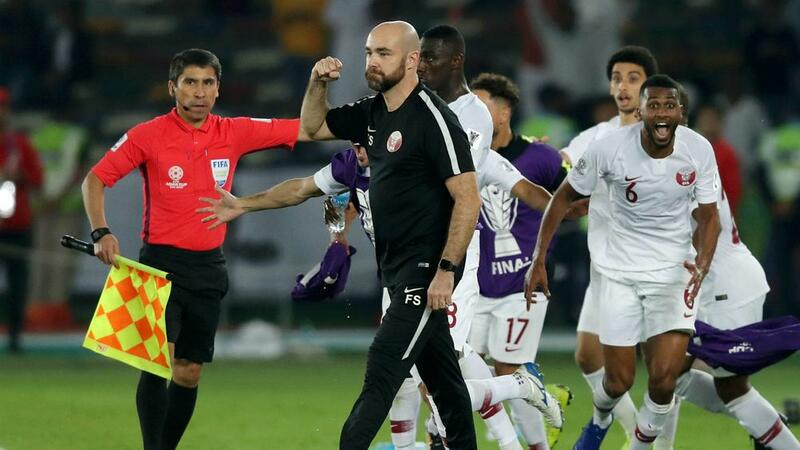 Sanchez was delighted with both sides of Qatar's game as they excelled in attack in the opening period before standing firm after Takumi Minamino breached their defence for the first time in the tournament. "I have no words. We beat an outstanding, outstanding team," he said. "In the first half, we played very well. In the second half, we had to defend a lot because obviously they want to win the title as well. It was a very tough game. We suffered and we know how to suffer.